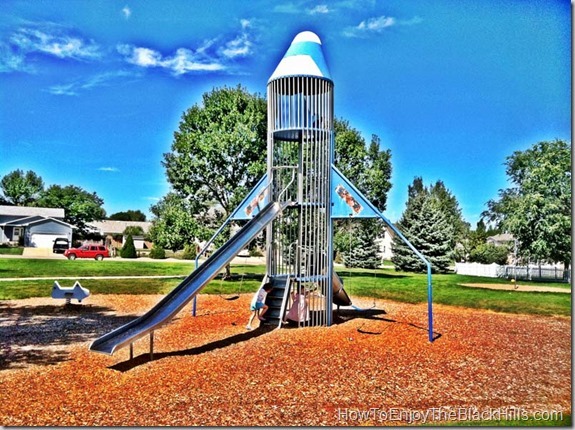 Rocket Park in Spearfish is one of our family’s favorites. 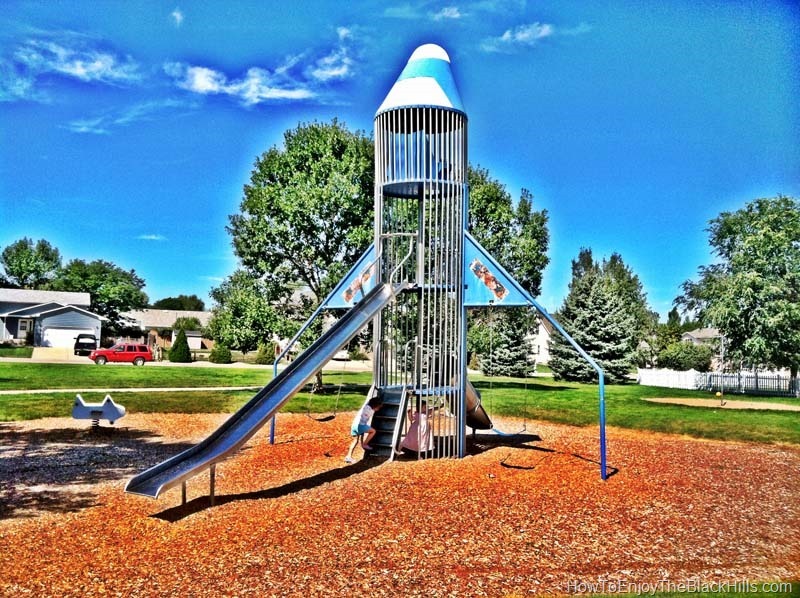 Who doesn’t love a rocket ships that you can climb and play in? The official name of the park is Evans Park, it has a picnic shelter and more play equipment. The park is located on the northern end of the bike trail that meanders through Spearfish. Turn off Evans lane at Fruitdale Street and then turn right on 3rd Street and you’ll find it. There are so many options for enjoying nature in the Spearfish area. The Lookout Mountain Park is right in town and offer acres of trails for hiking and mountain biking. Spearfish Canyon is just waiting for you to explore it. The are many hiking trails and waterfalls it is easy to fall in love with the canyon. And, if you’d like to see Spearfish from a higher vantage point – hike to the top of Crow Peak.